The Integrated Breathe Easy project has been empowering people living with lung conditions and those close to them with the skills, knowledge and confidence to better manage their health. Integrated Breathe Easy began as a joint project between local NHS organisations – Eastbourne, Seaford and Hailsham Clinical Commissioning Group (CCG), Hastings and Rother CCG – and national charity the British Lung Foundation. The project ran over two years, and created community hubs promoting self-care, friendship and education for people with living with lung conditions like COPD (chronic obstructive pulmonary disease), emphysema and lung cancer. Whilst Breathe Easy groups were already running locally, Integrated Breathe Easy has made closer links with healthcare professionals and local services, to make sure people received joined up support. The two year initiative has now come to an end, however the community groups have continued to be run by dedicated, passionate and enthusiastic volunteers, and you can still get involved. Here we describe how the project helped local people, and how you can join the groups in Bexhill and Eastbourne. What were the benefits for people taking part? The Monthly Breathe Easy meetings in Eastbourne and Bexhill provided a valuable combination of support from others living with lung conditions, advice on self-management techniques, and health information from expert speakers. Alongside the groups, people took part in a range of interesting activities to help improve health and wellbeing, for example; singing for lung health, gardening at a group allotment, a walking club, group outings and lung rehabilitation exercise sessions. As well as the monthly groups, two information events were held in Eastbourne and Bexhill, which attracted nearly 200 visitors. Expert speakers gave talks on ‘Looking after Your Lungs’, lung rehabilitation and how community pharmacies can help. Visitors could also connect with a variety of local organisations. People taking part in the monthly groups saw a number of important positive health and wellbeing benefits, such as improved health overall, becoming more active, and fewer feelings of isolation and loneliness. Meeting regularly with others living with lung conditions allowed members to share their experiences and build friendships. The groups also had a positive impact for people living with multiple illnesses and those experiencing social deprivation. Another positive outcome was that people attending the groups had fewer unplanned GP and hospital visits. The monthly Breathe Easy groups in Bexhill and Eastbourne are continuing to be run by dedicated volunteers. 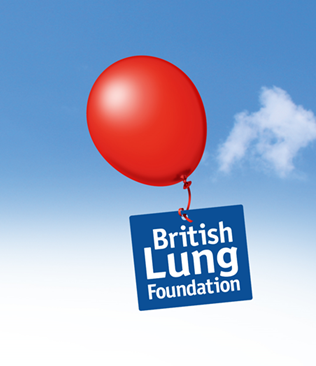 If you or someone you know is interested in getting involved, please contact the British Lung Foundation helpline on 0300 030 555, or 01323 723473 (Bexhill)/07969 490379 (Eastbourne). 2nd Monday of every month, 1.30 – 3.30pm Bexhill Health Centre, Holliers Hill, Bexhill-on-sea, TN40 2DZ. Meetings include a guest speaker, raffle and refreshments. The group is free to attend with a voluntary, small donation for refreshments. This group also has a short, gentle group exercise session at the meetings which attendees are welcome to take part in. 3rd Tuesday of every month, 2.00 – 5.00pm Deerfold Centre, 233 Seaside, Eastbourne, BN22 7NR. Meetings include a guest speaker, raffle and refreshments. The group is free to attend with a voluntary, small donation for refreshments. Activities to take part in include; group exercise, singing for lung health, an allotment club, a walking group and social outings. The Integrated Breathe Easy project was funded through the Big Lottery and NESTA. This entry was posted in News and tagged Breathe Easy, British Lung Foundation, Integrated Breathe Easy project on December 14, 2018 by East Sussex Better Together.